Improvements in food storage could help cut down on global food waste as well as providing a boost for farmers’ incomes. Globally, 8 per cent of food is wasted due to poor storage, and, while there has been much emphasis placed on waste at retailers and households, storage wastage has been less of a target. 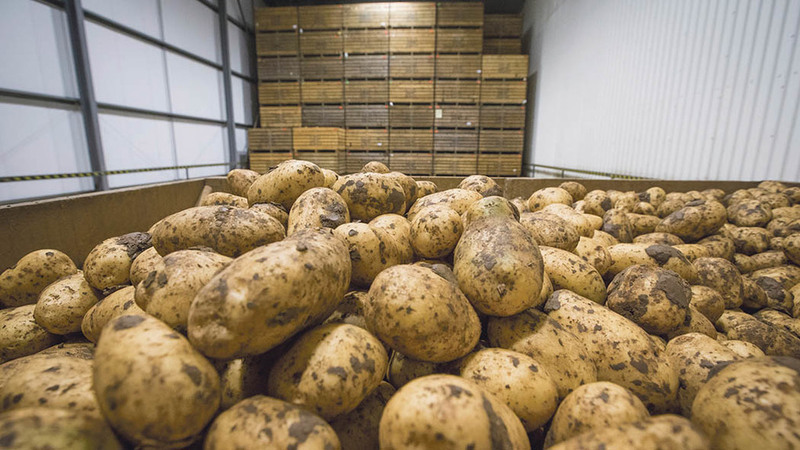 Adrian Barraclough, business development consultant at Sutton Bridge Crop Storage Research, said it was important to tackle food waste at every step of the supply chain. “It is costing farmers who have got to throw food away or will not get as good a price for it,” he said. While there had been a concentration on potatoes, there was also research on grains, fruit and vegetables such as onions. And, with the research part-funded by AHDB, it was hoped farmers could utilise the research when designing new stores or upgrading current ones, especially for flexible storage holding different produce. It came as the East of England Co-op announced it would start selling food which had passed its best before date for 10p, as part of its drive to cut down on food waste. The retailer said the initiative was ‘not a money making exercise, but a sensible move to reduce food waste and keep edible food in the food chain’ and has the potential to save at least two metric tonnes from being wasted every year.